Did you know poor air quality is one of the leading threats facing America these days? One in five Americans experiences inferior air quality in their residential spaces. The list of harmful pathogens and allergens in air ducts is vast, and it’s a matter of urgency to purge your HVAC systems of these substances to uphold your health and wellbeing. You need a trusted air duct cleaning in Forth Worth professional to help you navigate the various technicalities involved in HVAC systems. Who could be a better choice than Texas Duct Pros? As a professional air duct cleaning company, we use powerful, highly-advanced air duct cleaning technology to improve your indoor air quality at home and promote your health and wellbeing. Our residential & commercial air duct cleaning in Fort Worth is the best in town. We provide quality work at affordable prices. We also offer dryer vent cleaning services, insulation, restorations, Water damage, fire damage, tile and grout along with high-quality duct installation services in Fort Worth. Making sure your home has the best air quality. It’s common for homeowners to find layers of dust and contaminants within their air duct systems. These harmful substances can circulate in the air within your space and cause severe allergies and respiratory problems. At Texas Duct Pros, we seek address precisely this issue through our state-of-the-art residential air duct cleaning process. We believe in maintaining complete transparency in whatever we do, which is why we leverage special cameras to help our clients screen their air ducts before we start cleaning them. The grimy, hollow ductwork will undoubtedly look disgusting, but our advanced cleaning systems do the magic. After we are done with the cleaning, we will run the camera through the air duct to show you the difference. You only have to trust our patented technology, and everything will fall into place. 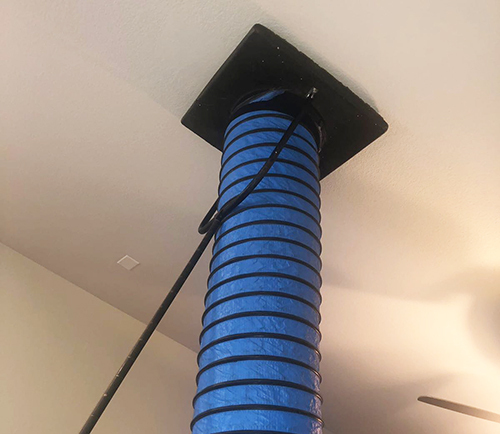 At Texas Duct Pros Fort Worth, we use powerful vacuums, UV lights and high-efficiency filters that provide the most efficient residential air duct cleaning to homeowners. We connect these powerful vacuums at a pressure of 2,700 cfm, to the ac units to vacuum the majority of the dirt. The remaining dirt and debris are removed by special air duct cleaning brushes for hard to reach places. Not only this, but we also provide a sanitizing misting treatment after we are finished cleaning your air ducts. Our mists are botanically-extracted and sprayed through the space to kill harmful germs, bacteria, and allergens and leave behind a pleasant-smelling and clean indoor space. Most of you may not realize when you need to clean your air ducts because these grimy corners often don’t meet the eye. When harmful substances accumulate in your air ducts over the years, they are likely to jeopardize the functionality of your entire HVAC system by rendering its components defective. Possible leakage in the ductwork. Blockage in the air conditioner coils. 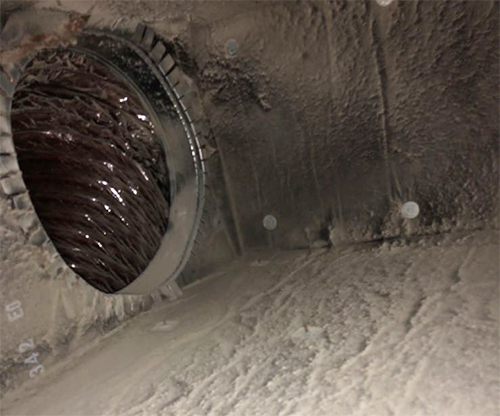 Contamination in the blower wheels of furnaces. Blockage in the smoke exhaust. Poor maintenance of ducts owing to their location in an unheated basement, attic, crawl space, or any other spot that is difficult to access. Mold growth within air ducts. Vermin infestation and carbon filtration. No matter what the reason is, poor-performing air ducts can hamper your wellbeing by rendering the air of your home dirty and unbreathable. As soon as you see that your HVAC system is not functioning up to the mark, you should consider cleaning them. As part of our Fort Worth residential cleaning service, we inspect your HVAC system and let you know if there are any potential problems. The allergens and pathogens in your air ducts re-circulate through the indoor space, settling on your carpets and upholstery. As such, you or your family may experience non-stop sneezing and wheezing on staying in that space for long. Such a thing can be extremely uncomfortable, especially when the air emanates an unpleasant odor. Such situations call for a professional air duct cleaning company like Texas Duct Pros. We follow the guidelines prescribed by NADCA dedicatedly so that every household meets its indoor air quality priorities to the fullest. Don’t go another day without clean indoor air. Unlike other air duct cleaning companies, Texas Duct Pros doesn’t drain your bank account. Our services are advanced and sophisticated, but that doesn’t mean we charge you an outrageous price. We design our services in a way that proves affordable for lay homeowners. At the same time, we ensure that our cleaning process doesn’t subject your HVAC system or your home’s interiors to damages. Whenever you are faced with a faulty air duct system, you can reach out for our professional residential air duct cleaning and chimney cleaning in Fort Worth, TX at (469) 242-2296. We are here to answer all your questions about any of our services and get your appointment set up today!